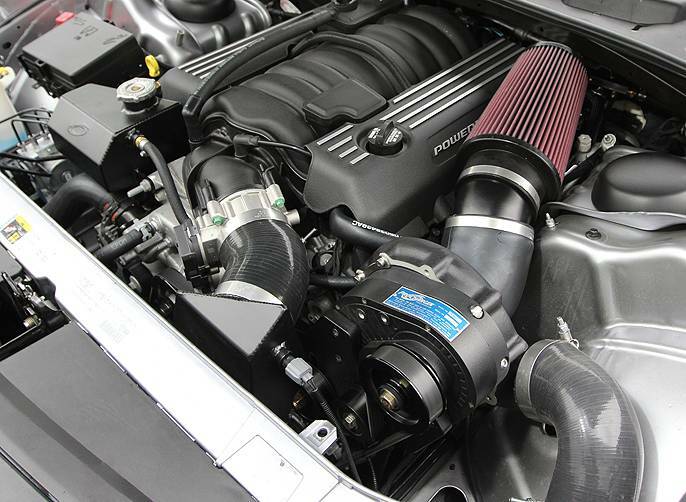 This is an ATI / Procharger Stage II 3 Core Air-to-Air Intercooled Supercharger Complete System with a P-1SC-1 head unit setup for the 2015-2017 Dodge Challenger SRT-8 HEMI 6.4L which will get you a 200+ horsepower gain! This system is 100% complete, including an Aeromotive in-tank high flow fuel pump, high flow fuel injectors, email based tune and a Diablo handheld programmer, BUT customers will have to address unlocking their ECMs. This is a fairly simple process but does involve sending the factory ECM to Diablo for unlocking. The tuning is for stock vehicles or those with a catback only, just bolt on and drive! Black powdercoated upgrade option is pictured for reference only, the standard kit is satin finish. If you have other modifications such as headers, midpipe, camshaft, etc. then look at the Tuner kits. One of the most anticipated and talked about automotive line ups this year was the new 2015 HEMI platforms. With ProCharger superchargers being the undisputed forced induction leader for the HEMI platform, our engineers couldn't wait to get these systems ready for our customers. Well the day has come, so if you're ready to feel the rush that an extra 200HP can deliver, here is your chance! Shipping: FREE continental USA ground shipping on ALL Procharger Supercharger Systems! PCM Unlocking required on all 2015+ model year Chrysler/Dodge/Jeep vehicles. There are many options available for ATI/Procharger kits. If you have any questions please email sales@TREperformance.com or call 760-586-5617. These supercharger kits are the most complete available, including everything needed for installation. This includes all mounting brackets for the blower, pullies, belts, intercooler, all the tubing, piping, fittings and clamps and even oil for the self contained lubricating system. You do not need to make any major modifications or purchase special tools or other parts. Many customers install in their garage or driveway over a weekend. 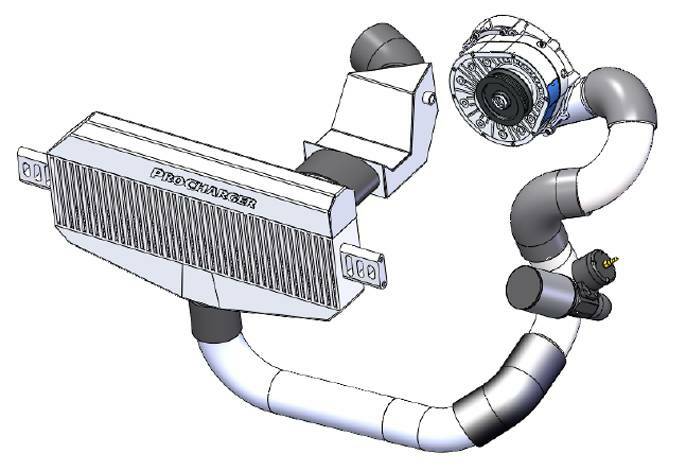 For years ProCharger air-to-air intercoolers for the HEMI/DCX platform have been the leader in HP support and effectiveness, but as always we continued to improve upon that. We designed an all-new system to have even more free flowing tubing arrangements, and less couplers then before. This is great news for those that will be pushing the HP levels down the road, which demand the best intercooler on the market. Above in the pictures you can view two different intercooler systems offered to meet our customers needs. For over a decade ProCharger supercharger systems have delivered the largest and most reliable power gains for the HEMI engine platforms. Power gains of over 200HP are possible on standard high quality pump gas. Pumping the power output of the 6.4L (392) engines to a mind blowing 685+ Horsepower! Yes, that is nearing the level of the Hellcat at a mere fraction of the price. ProCharger engineering staff works hard to ensure that not only will your supercharger system be easy enough to install in the home garage with an OEM fit and finish, but also that it leaves no permanent changes to the automobile (such as cutting or trimming of body parts). Ensuring the piece of mind to easily install this system on the weekend, and know that you are not affecting resale or trade in value if you chose to remove it before sale. TREperformance is an Authorized Priority Dealer of ATI Prochargers. 12 Month warranty direct from ATI, 36 month optional for $99 extra! Custom made and shipped direct from Procharger in 3-5 business days! Procharger is very strict about who they allow as dealers. Procharger dealers must have experience with high performance forced induction applications and provide excellent customer service and application advice. Most online only or mail order companies are unable to qualify as dealers, but you are welcome to stop by our shop to talk about your application or view our supercharger kits. Why choose ATI / Procharger Superchargers? ProCharger supercharger systems are absolutely the most powerful and reliable supercharger systems available for your vehicle. 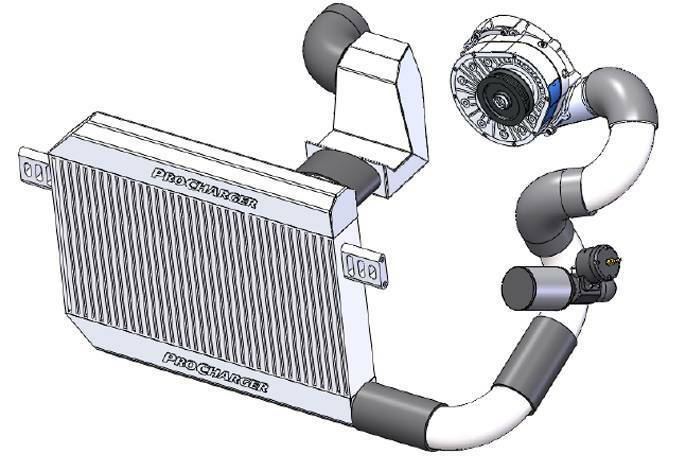 Intercooler ProCharger systems are able to reliably increase horsepower and torque by 50-85% while still keeping your vehicle emissions legal and allowing you to run pump gas. 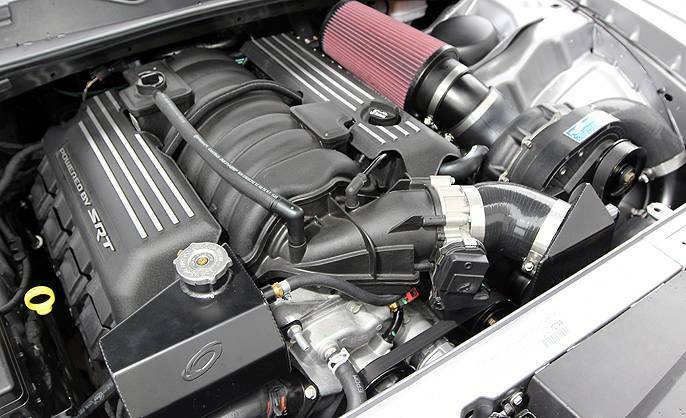 For street use or at the track, Intercooled ProCharger supercharger systems will deliver the largest increase in horsepower and torque available from any supercharger system. And thanks to the extremely low charge air temperatures provided by ProCharger technology, ProCharger systems also provide much better engine longevity by protecting your motor from detonation. ProCharger systems are designed with a fundamental understanding of the physics behind supercharging, and are engineered to the highest quality standards. Designed, manufactured and serviced in the USA. Thanks to relentless innovation, ProCharger technology is generations ahead of the competition. ATI’s self-contained (Part numbers ending in SC) ProCharger models are the first and only gear-driven centrifugal superchargers to feature self-lubrication, and contain the industry’s most advanced technology. The exclusive, patented, self-contained, gear-driven superchargers eliminate tapping into your oil pan, run cooler and produce more power than any competitor’s products. The impellers are created with aircraft grade 7075 T-6 aluminum alloy for tremendous strength and performance. The top tier material used in the construction of every ProCharger billet impeller and compressor housing allows the use of higher step up ratios than the competition. This in turn allows increased boost levels and superior overall performance than other offerings on the market. Because of this unwavering commitment to excellence, ProCharger is the only manufacturer of self-contained superchargers offering a 3-year warranty to ensure years of trouble free performance. Shipping Remarks: FREE continental USA ground shipping on ALL Procharger Supercharger Systems!